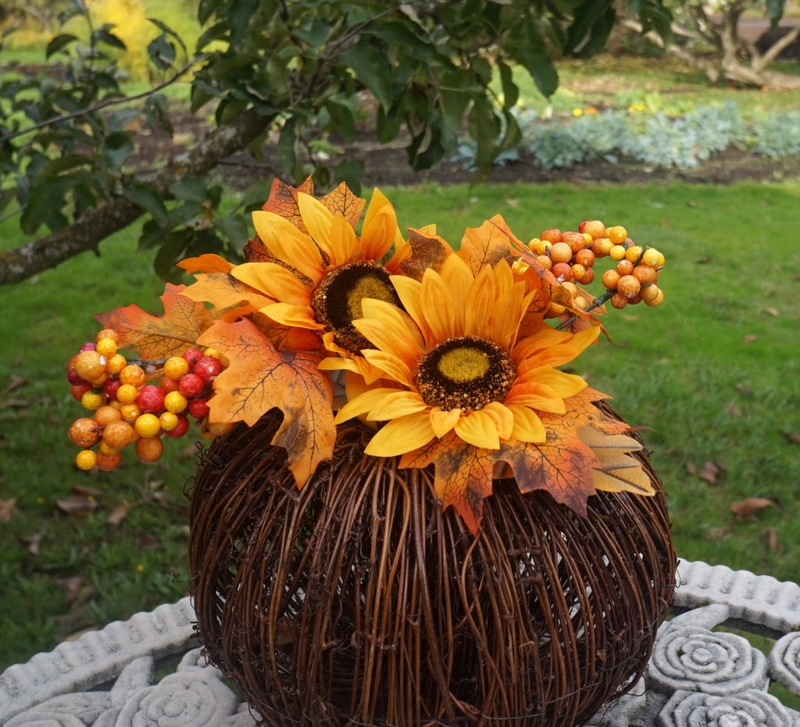 What a gorgeous way to deck your main table from Fall thru Thanksgiving! 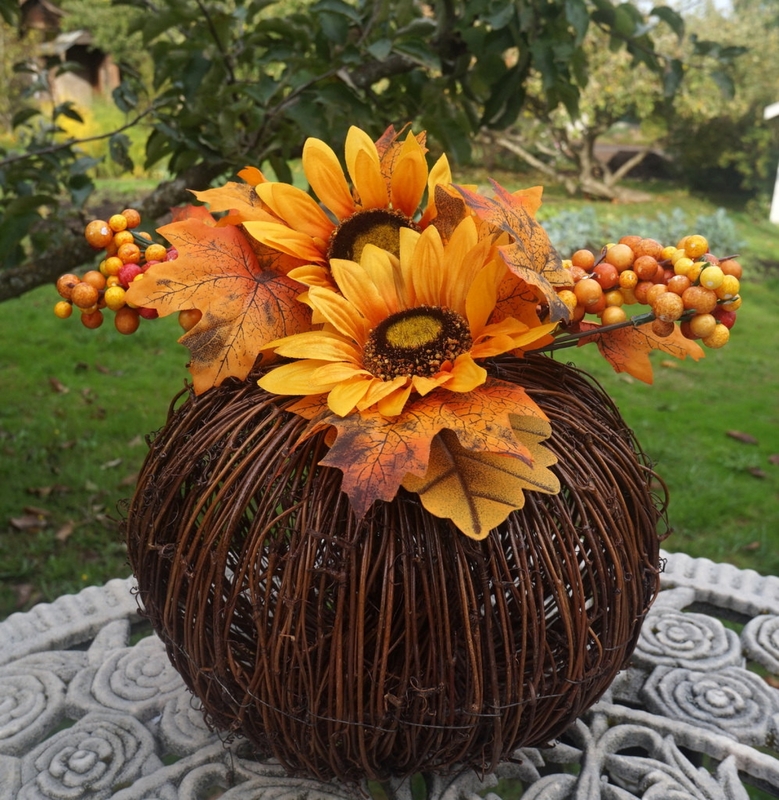 This large and tall handcrafted pumpkin arrangement with sunflowers is perfect for your Thanksgiving and Autumn decorations. 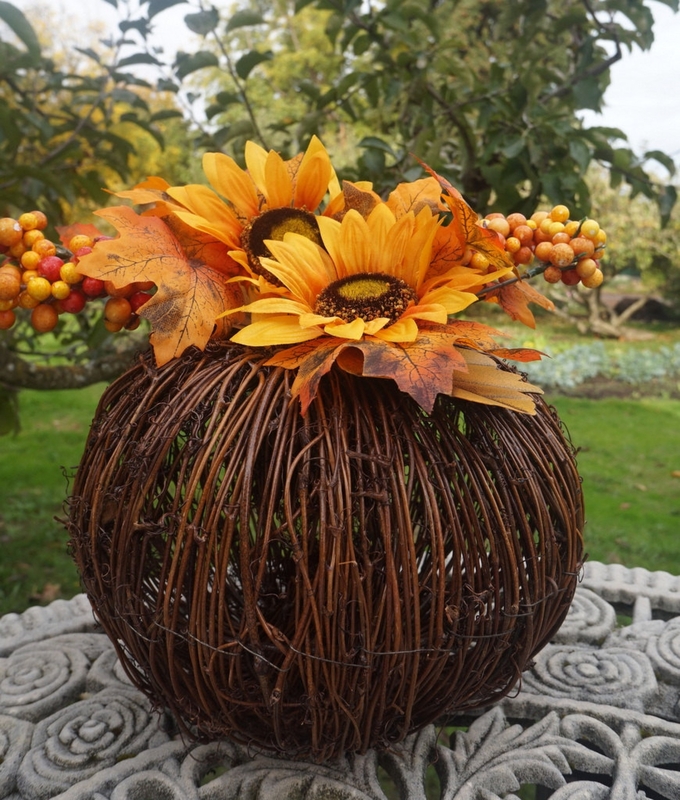 This 10 inch diameter twig pumpkin is accented with metal leaf, artificial berries, sunflowers and Fall colored leaves. Measures about 6 inches tall! 10 inch diameter and approximate 30 inch circumference.